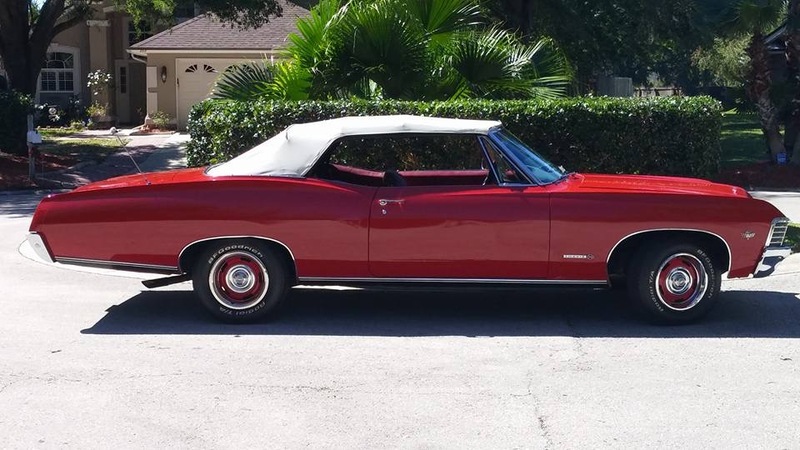 I bought my 1967 Impala SS convertible, while attending the Turkey Run at the Daytona Speedway in 2002. Its bright red finish caught my eye and I knew I had to take it home. It is powered by a 327 cubic inch, 275 horsepower small block Chevrolet engine, and is backed up by a Powerglide automatic transmission. Early on I was having trouble with the Quadra-Jet carburetor and a rebuild failed to solve its problems. I then replaced it with an Edelbrock 600cfm carburetor, and also added a few engine dress-up items but kept all of the original parts should I decide to go back to stock. It has run perfect ever since, although in recent months it has begun to smoke a little and may finally be ready for its first engine rebuild at 87,000 miles on the odometer. It’s not a perfect “Show Car” but a great looking driver but we’re not afraid to show the car either. 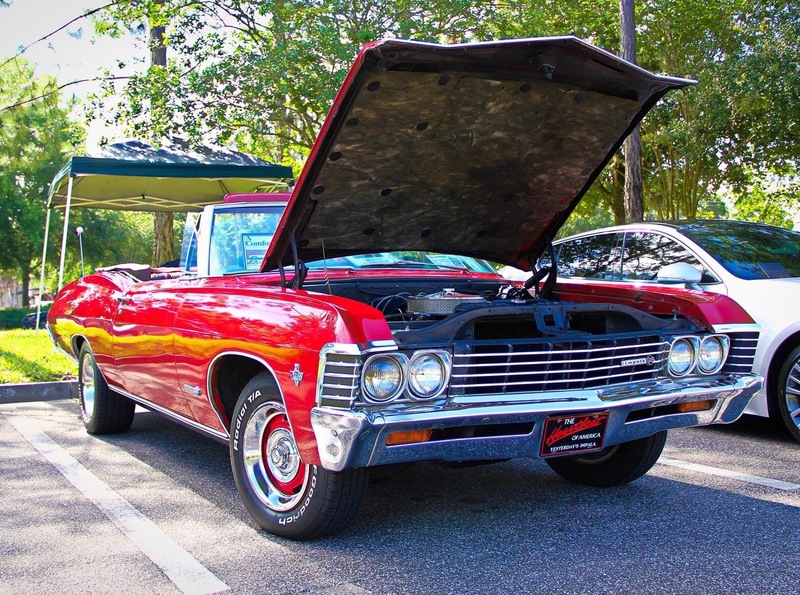 It had one repaint before I bought the car, in its original Bolero Red color, which never fails to attract attention at car shows. 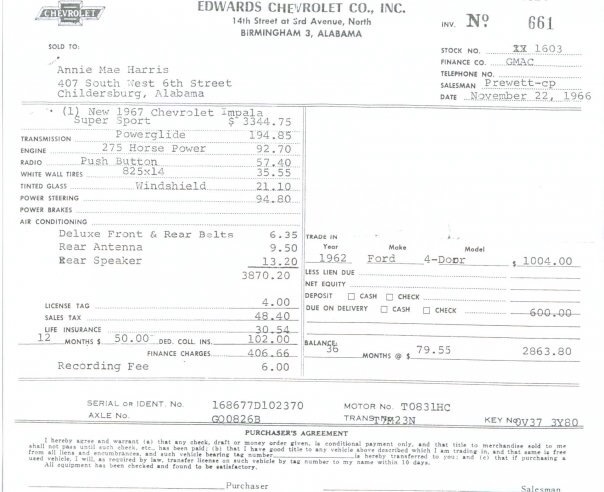 I was surprised when I bought the car it included its original “Dealer Bill of Sale”, owners manual, convertible top manual, 2-build sheets and warranty book with Protect-o-plate metal card. I still need to make a small repair on the center console, but for the most part we just enjoy the ride.